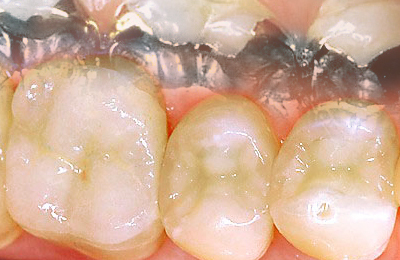 Modern dentistry offers effective ways of amalgam sanitation. Older and wider amalgam fillings can be replaced by worthy and more compatible materials. For visible parts of the denture. ceramics is very popular, although synthetic materials or gold are valid alternatives. To avoid accidental aspiration or insertion through the mucosa of quicksilver, we remove amalgam fillings using the so-called "Kofferdammtechnik". This suction works with mechanical barriers between tooth and the mouth mucosa.